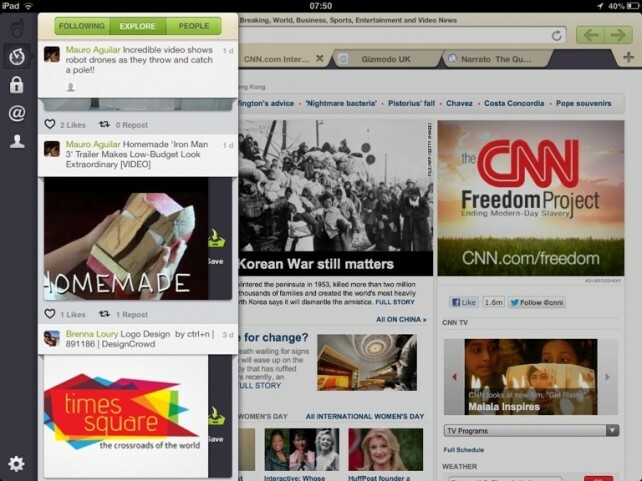 Webnote by HopIn (Free) by HopIn, Inc. is a social browser that lets you easily capture and share any part of the Web. Although iPads are perfect tools for browsing the Web, the browsers themselves haven’t changed much over the years. 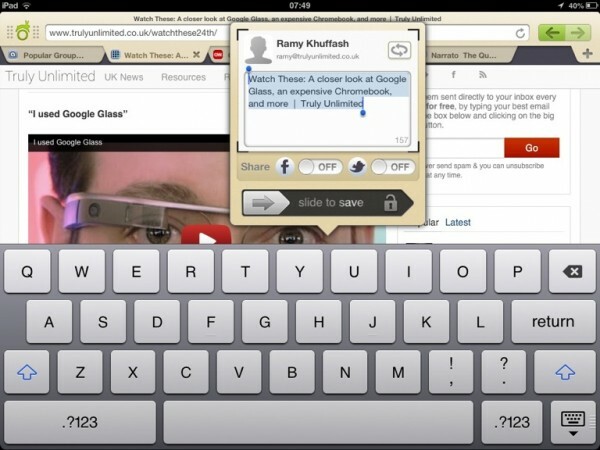 Webnote offers a different experience by adding gesture controls and social elements to your browsing. Webnote lets you capture the small details that catch your attention. 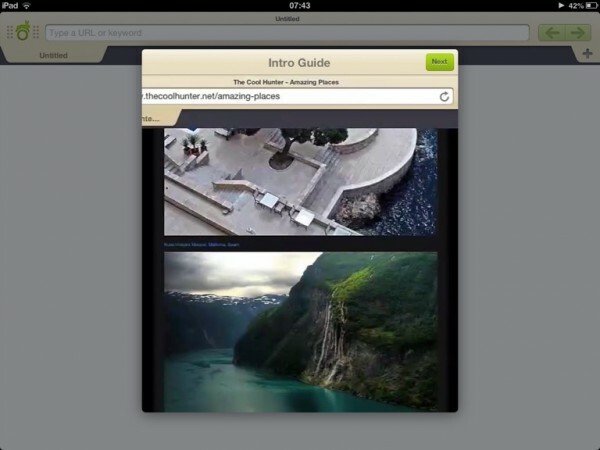 Double tapping anywhere on a page generates a bookmark and an image of the area you selected. 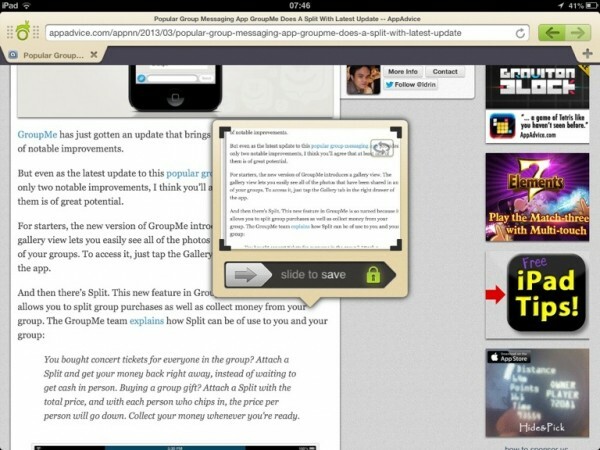 You can add notes to the bookmark, then save it. You can decide to save it privately or you can share it publicly. 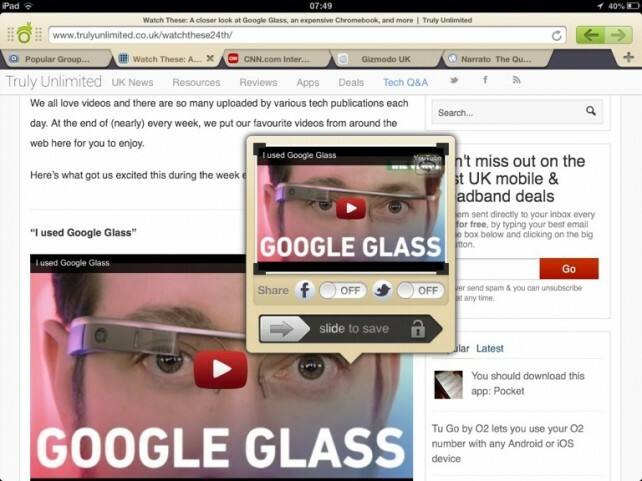 You can follow people to see all of the bookmarks they’re sharing and anyone can follow you to see what you’re sharing. You can comment on, like, or re-post your friend’s bookmarks. 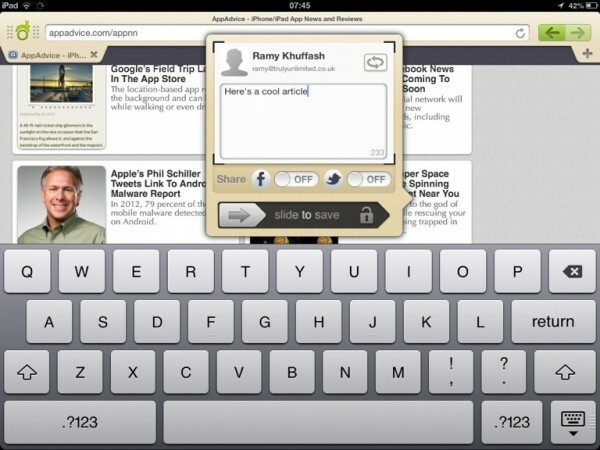 You can also share your posts with friends on Facebook or Twitter. 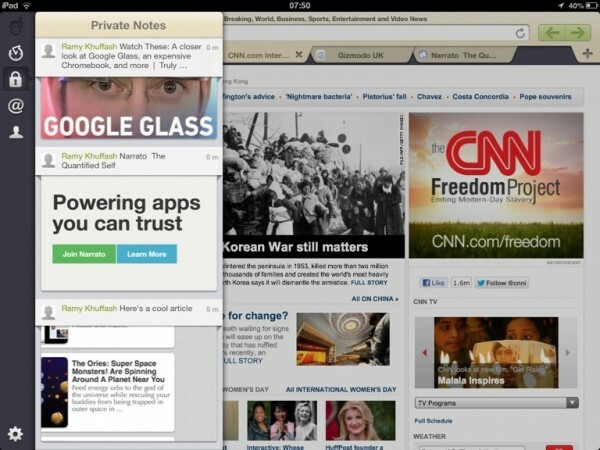 Webnote can be used completely privately. You can save bookmarks and notes without sharing them and can even add comments at a later date. 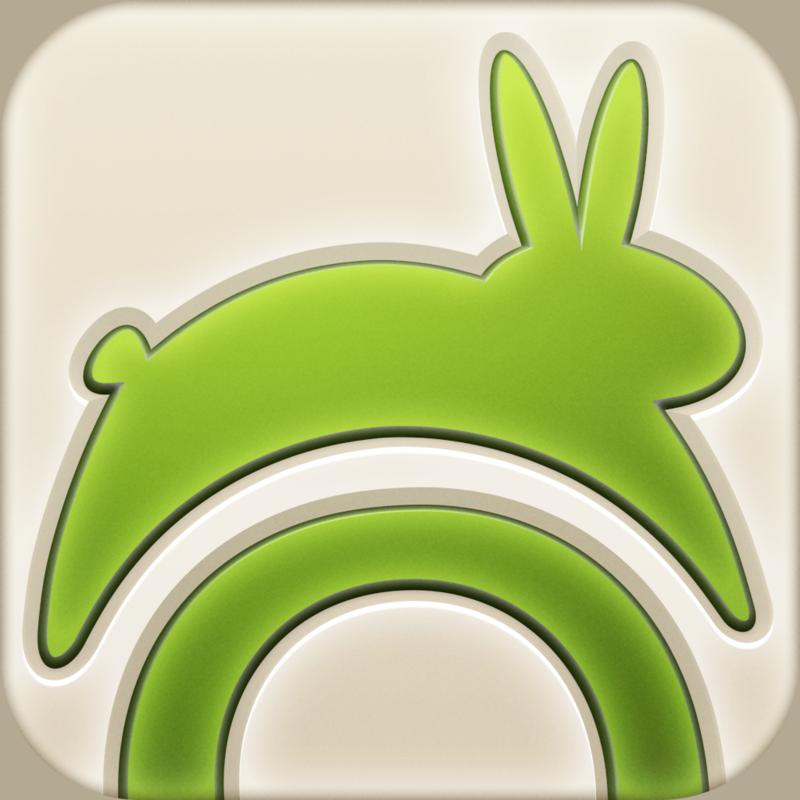 The app is well designed in general and the sounds it makes are surprisingly pleasant. If you’re not a fan of your browser making noises, you can turn them off in the settings menu. Other than the social elements and the ability to easily curate and share content, Webnote functions like a regular browser. 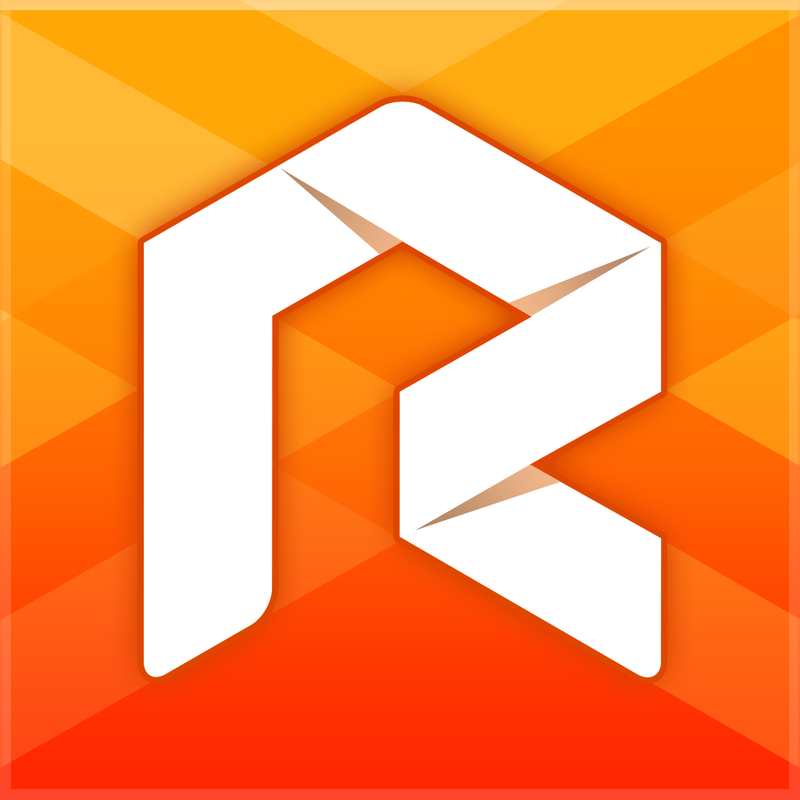 When I first started using Webnote, I thought it was going to offer a whole new browsing experience like RockMelt did. Now that I’ve spent more time with it, I think it’s actually more like a regular browser with enhanced social and bookmarking features. 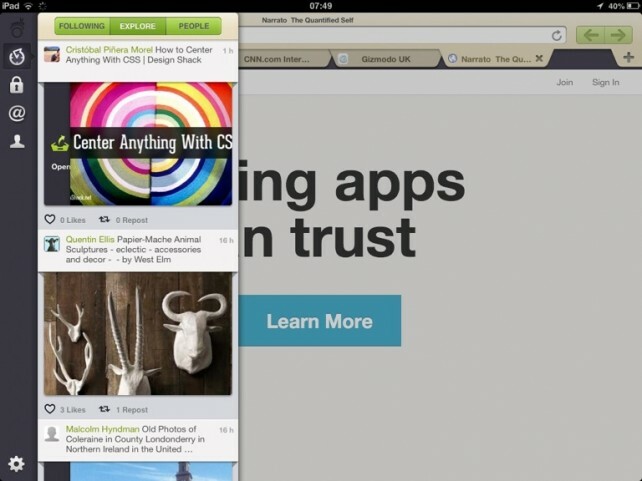 People who have always wanted better bookmarking and social features from a browser will find Webnote useful. 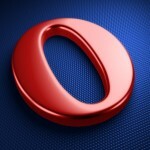 For most people, I don’t think it offers enough to be worth using instead of a browser that you’re already familiar with. 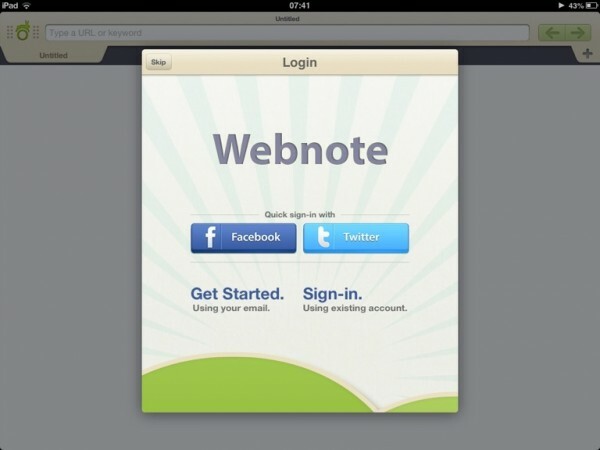 You can get Webnote for iPad free in the App Store. To learn more about some of the other iPad browsers, take a look at this AppGuide.